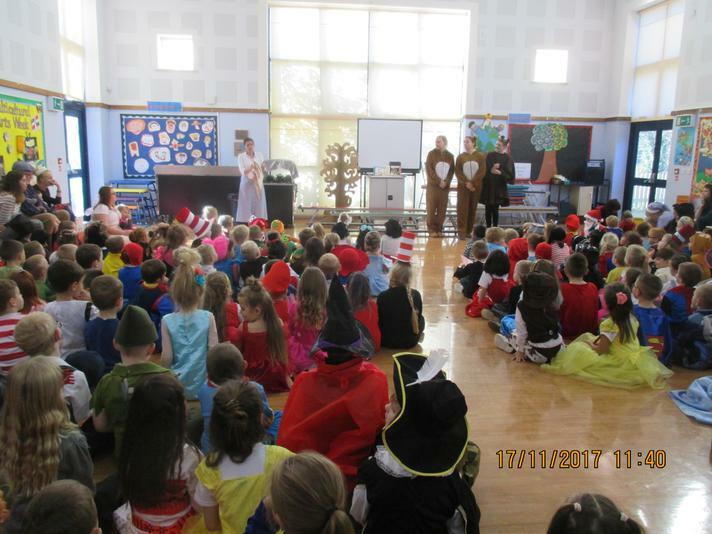 This week has been book week and we have been learning about our favourite books and authors. 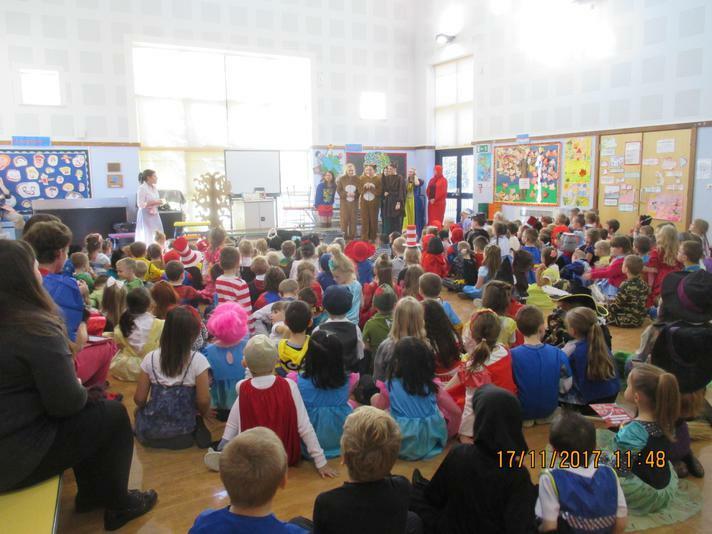 Today everybody dressed up as their favourite book character. 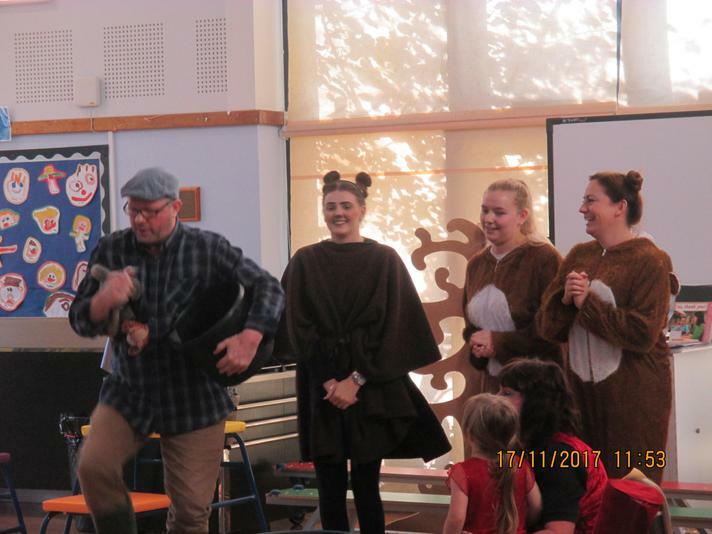 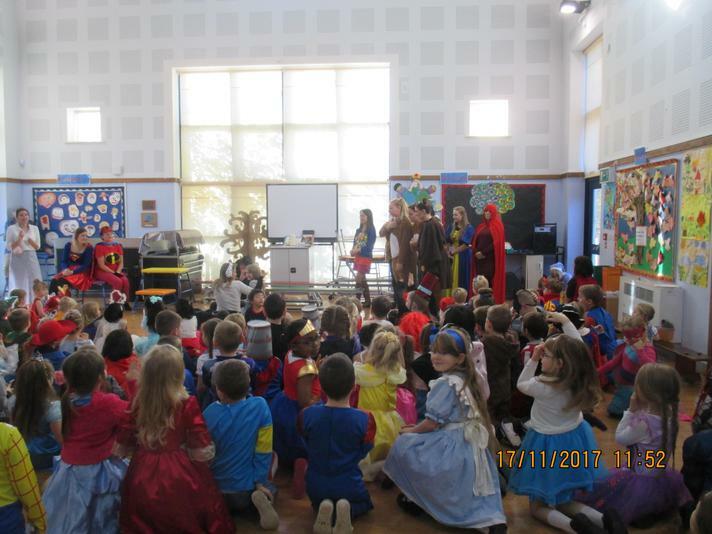 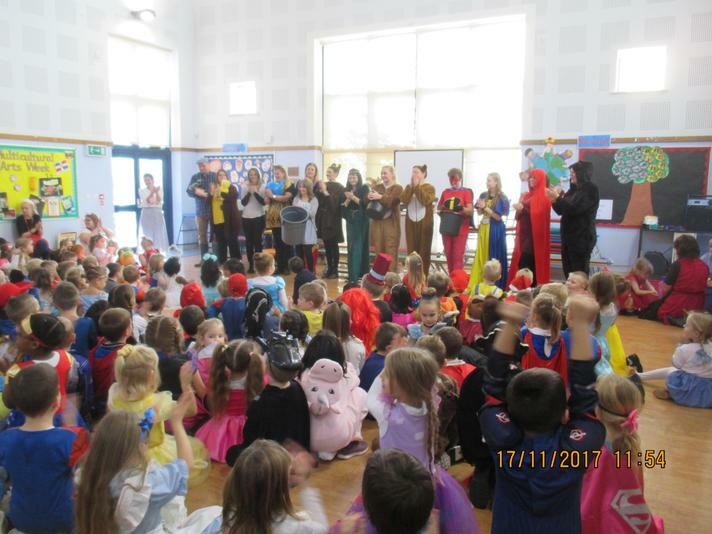 As a special treat the teachers performed the story of 'The three bears' which was wonderful! 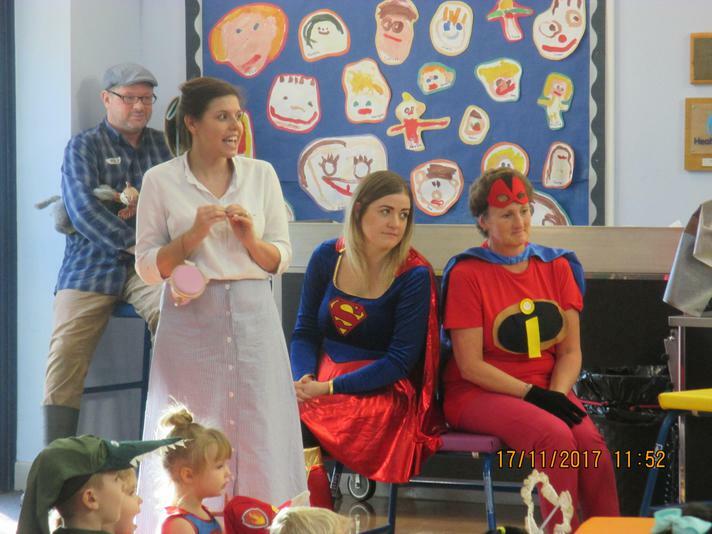 Miss Vaughan, Miss Beale and Mrs Dodrill starred as the three bears and Miss Bishop was Goldilocks. 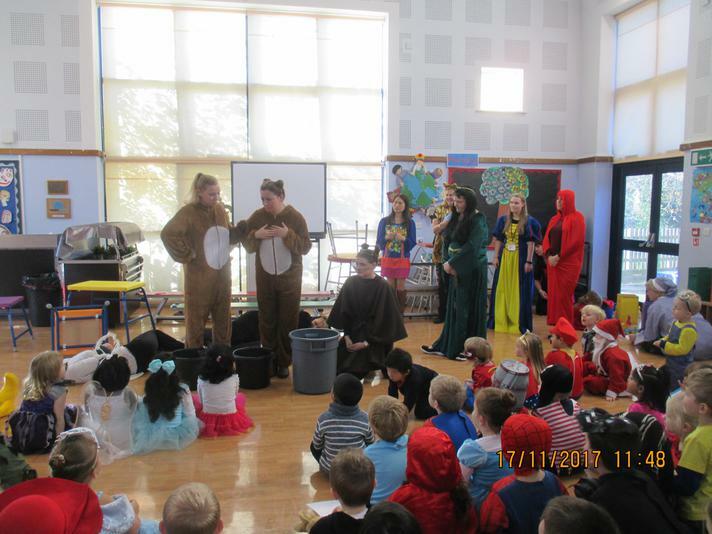 Mrs Buddle told the story with the help of Percy the Park keeper!